I’m off later today to Missouri, where I will do a talk tomorrow morning for an event focuse on the future of manufacturing.It’s an interesting time to be there: both for Missouri and for manufacturing. It’s a sector that is reinventing rapidly on a global scale, with trends involving robotics & cobotics, 3dprinting, digitization of the factory, mass customization and more. My message? Simply put, you won’t survive the future if you don’t align to the real trends which are reshaping the sector today. Your new competitors around the world are reinventing – are you? It’s always fun to do this type of talk in the Midwest. I know that 66% of the audience will be with me, and know that aligning to the reality of future trends is critical. The other 34%? Build a wall, baby! Stop the world at 1950, put in some tariffs, make the future go away! As a futurist, I speak to the truth of trends, and know that some folks will hear what I have to say. Others, well, not so much! But I won’t give up in trying to reach them – I’ve come to believe that their mindset is to a degree, driven by a fear of the future. 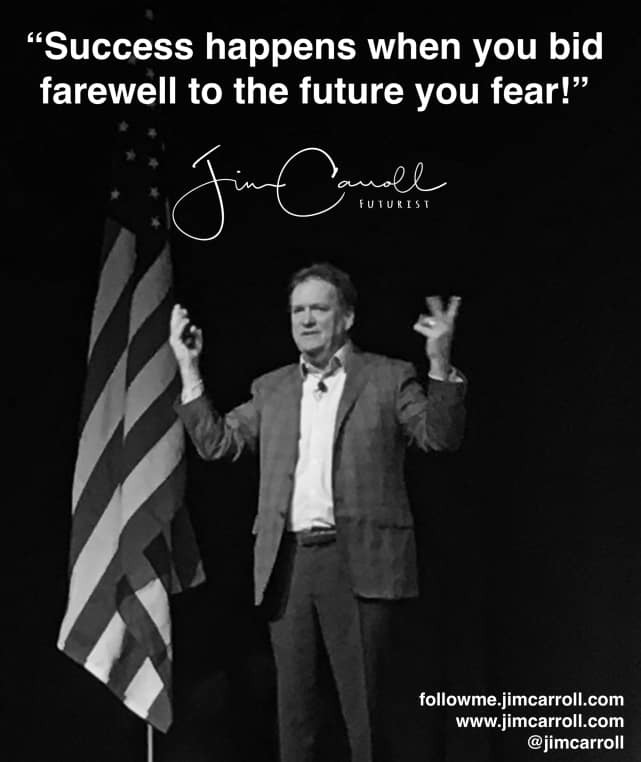 Fear is a powerful demotivator and influencer of inaction. Fear causes people to stop in their tracks, and wish that the world would do the same. Fear skews knowledge and understanding. And yet, the future marches on in relentless fashion, and so it only makes sense to try to overcome fear with facts!